Laid down, 19 September 1944, as a Maritime Commission type (EC2-S-C1) hull under Maritime Commission contract (MCE hull 3070) at New England Shipbuilding Corp., South Portland, ME. 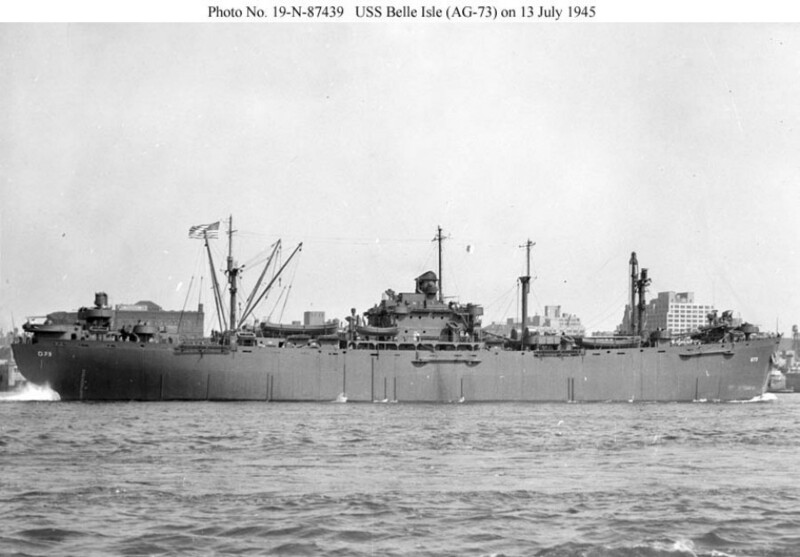 Decommissioned, 15 November 1944 at Hoboken, N.J.
105k USS Belle Isle (AG-73) under way near New York Navy Yard, 13 July 1945, her commissioning date. 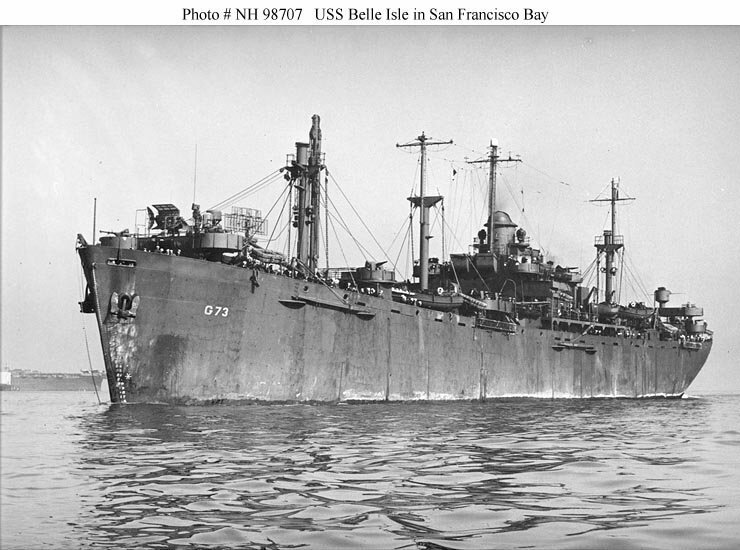 91k USS Belle Isle (AG-73) in San Francisco Bay, circa April 1946. Note the electronics antennas on the forecastle, used for repairing electronics equipment. The stern of USS Saratoga (CV-3) is in the background at left. 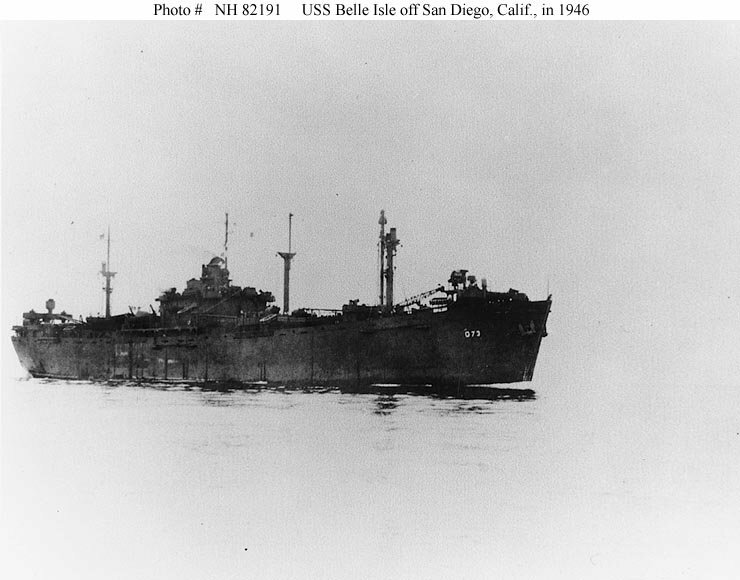 67k USS Belle Isle (AG-73) under way off San Diego, CA. in 1946.